Hello, Pitchwars hopefuls! After a fantastic experience as a PitchWars YA mentor last year, I came up with my 2017 PitchWars wishlist dreaming of another YA manuscript that will sweep me away as much as my mentees’ projects did last year. A bit more about them below because they are both worthy predecessors! 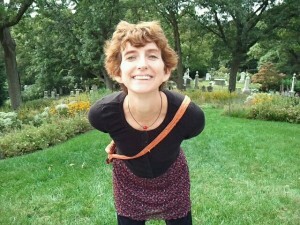 Bio: I’m a young adult writer represented by Roseanne Wells of Jennifer De Chiara Literary Agency. I have a Ph.D. in German Literature and am the Poetry Editor and acting EiC at Young Adult Review Network, publishing new teen writers along with superstars like Jacqueline Woodson. I’m also the Editorial Assistant at Laboratory Phonology, where I manage the submissions process and copyedit all papers. My own work has been published in the TIMELESS and SPAIN FROM A BACKPACK anthologies as well as BLACK FOX LITERARY, COBBLESTONE, and FACES magazines. My writing has won several awards, including the 2017 PEN New England Discovery Award. Other fun tidbits about me: I normally call Boston home, but I’ll be spending this fall semester in Madrid (¡Ole! ), and have lived in both Austria and Germany. My background includes service in the U.S. Army, a Fulbright teaching award, and a year with Rosetta Stone, where I worked on the Indonesian language product with a great team of linguists. I can always be found up and about by 5am, when I’m either off swimming laps or at my desk taking part in #5amWritersClub. I am a pretty serious person. You can expect few (if any) GIFS, jokes, or pop culture references from me, but you can also expect my undying devotion and passion in helping you make your project all it can be. I absolutely love PitchWars. I was a mentee myself in 2014, and I can’t recommend it enough (evidence: my letter to the 2015 mentees). My amazing mentor, Sarah Guillory, helped me tear apart my manuscript that landed me my agent (read my journey about connecting with Roseanne here), and I’m still in contact almost daily with my fellow mentees, many of whom have been or are mentors. My 2016 mentees were total rock stars who’ve already gone on to great things. I absolutely loved Kosoko Jackson’s fast-paced, dual timeline historical. His combination of talent and hard work made his manuscript even better, and he’s since signed with a great agent. Sam Taylor likewise captured me with her Babylonian-inspired fantasy. Her gorgeous writing in this project recently won her the Tassy Award in the YA category. I am so proud of both of them and will be a lifelong fan of their work. This year, I’m a YA mentor just like last year, and I’ll start off by listing the top four things I’m looking for in a YA project. Probably not surprisingly, these are the things I like best and read most, which means they’re also the things I feel I can most help with. If your manuscript falls under even one of these, I would absolutely love to see it. Historical fiction. I write YA historical fiction myself and read oodles of it. Recent favorites include THE GENTLEMAN’S GUIDE TO VICE AND VIRTUE by Mackenzie Lee, SALT TO THE SEA by Ruta Sepetys, and OUT OF DARKNESS by Ashley Hope Pérez. I’m also really, really looking forward to AMONG THE RED STARS by fellow 2014 PitchWars mentee, Gwen Katz, coming out this fall. My favorite era is twentieth century, but I am most definitely interested in all others. For instance, I absolutely loved UNDER A PAINTED SKY by Stacey Lee and COPPER SUN by Sharon Draper. Verse novels. As the poetry editor at Young Adult Review Network, I love all kinds of poetry, including verse novels. Some of my favorite YA verse novels include A TIME TO DANCE by Padma Venkatraman, AUDACITY by Melanie Crowder, and BROWN GIRL DREAMING by Jacqueline Woodson. I also love novels that combine poetry and prose, like AND WE STAY by Jenny Hubbard. Novels set in another country or with main characters from other countries. Bonus points for characters who speak other languages. Some recent favorites include SOLO by Kwame Alexander (novel in verse set in LA and Ghana), THE WEIGHT OF FEATHERS by Anna-Marie McLemore (magical realism with Spanish- and French-speaking characters), SMALL DAMAGES by Beth Kephart (contemporary set in Spain), and BLUE VOYAGE by Diana Renn (mystery set in Turkey). Retellings or fairy tales. Though I’ll leave straight-up fantasy for the experts (see below for more details on what I’m not looking for), I find stories based on the familiar particularly compelling. Recent favorites include RONIT AND JAMIL by Pam Laskin (a Romeo and Juliet retelling) and FAR FAR AWAY by Tom McNeal (a contemporary fairy tale narrated by Jakob Grimm). More bonus points: Other things I especially love are pretty writing, multiple points of view, diverse characters, weird timelines, unique formats (epistolary, anyone? ), unlikable heroines, and unlikely friendships or romances. What I don’t want: I like a little magic (especially if it’s combined with one of the other elements on my list), but I’m best able to help those whose settings are based in reality, so high fantasy and heavy science fiction aren’t really for me. I’m likewise not much of a fan of paranormal and I’m way too chicken for anything that falls under horror. Finally, I prefer tragic reads that really make me think, cry, and feel, so fully lighthearted and upbeat stories are probably not the best fit for me. 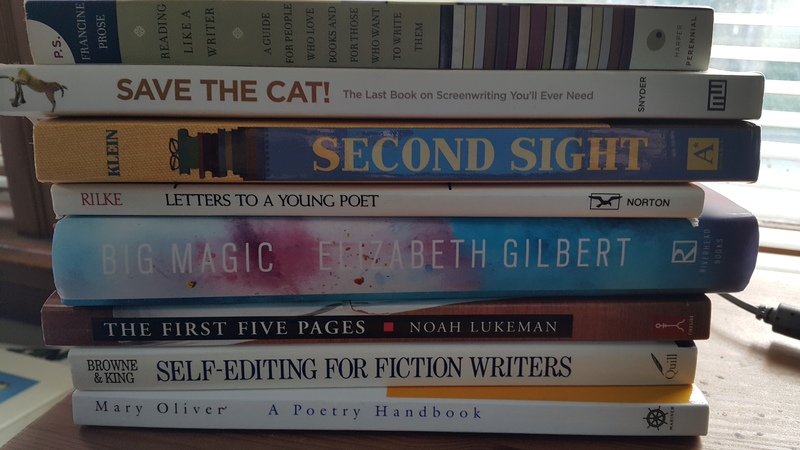 So assuming my wishlist sounds like a good fit for your manuscript, what can I do for you? Plotting! I am a plotter, and can share what I’ve learned from plotting and outlining workshops to help identify plot holes and areas that could benefit from higher stakes and bigger twists. Pacing is another problem I see in many manuscripts I read, as are endings (of a scene, chapter, or entire manuscript) that need more of a punch. I also know firsthand how hard it is to achieve a balance between setting details and too much backstory, and I have had plenty of experience both revising and rewriting my own manuscripts from scratch, as well as helping critique partners identify problem areas in their stories. Finally, I am a copyeditor (and grammar nerd) by day, so I can definitely help you clean up any of the peskier little issues before the agent round. If we end up working together, you can expect a full edit letter on your manuscript, as well as whatever level of support you need to get through revisions over email, twitter, gchat, whatsapp, and/or DMs. I like talking on the phone about as much as I like GIFs. If you’re not sure if your project is right for me, feel free to ask in the comments. Best of luck to all! Bio: Kip Wilson Rechea is a young adult writer represented by Roseanne Wells of Jennifer De Chiara Literary Agency. 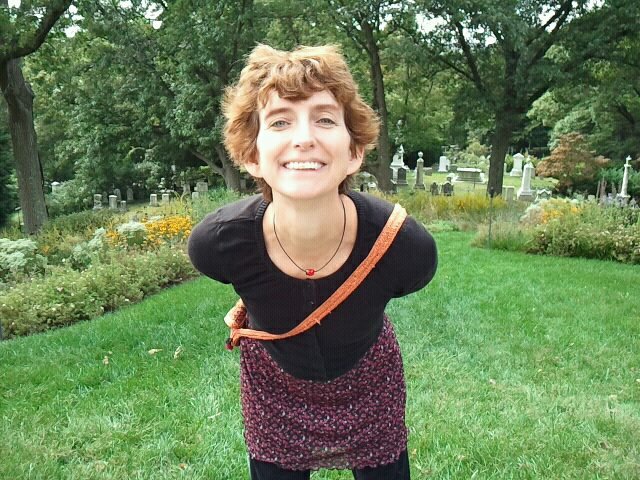 She has a Ph.D. in German Literature and is the Poetry Editor at Young Adult Review Network, publishing new teen poets along with superstars like Jacqueline Woodson. She lives in Boston, spends a lot of time in Spain, and has lived in both Germany and Austria. As far as PitchWars goes, I absolutely love this contest. I was a mentee myself in 2014, and I can’t recommend it enough (evidence: my letter to the 2015 mentees). I’m still in awe of my amazing mentor, Sarah Guillory, who helped me tear apart my manuscript that landed me my agent (read my journey about connecting with Roseanne here), and I’m still in contact almost daily with my fellow mentees, many of whom are mentors this year. As far as mentoring goes, I couldn’t be happier to be on board. 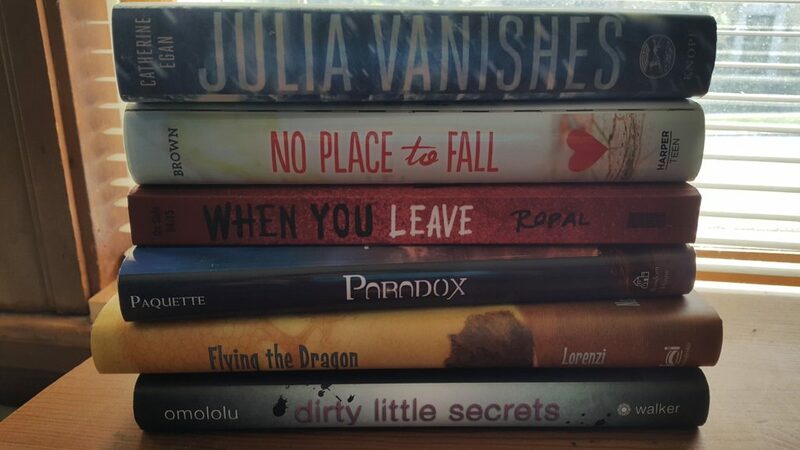 I’m a YA mentor, and I’ll start off by listing the three top things I’m looking for in a YA project. If your manuscript falls under even one of these, I would absolutely love to see it. If you story falls under two, even better, and if it falls under all three, what are you waiting for? Historical fiction. I write YA historical fiction myself and read oodles of it. Recent favorites include OUT OF DARKNESS by Ashley Hope Pérez, SALT TO THE SEA by Ruta Sepetys, and BELLE EPOQUE by Elizabeth Ross. My favorite era is twentieth century, but I am most definitely interested in others. For instance, I absolutely loved UNDER A PAINTED SKY by Stacey Lee and COPPER SUN by Sharon Draper. Novels set in another country or with main characters from other countries. Bonus points for characters who speak other languages. Some of my favorites include THE WEIGHT OF FEATHERS by Anna-Marie McLemore and THE GIRL WITH BORROWED WINGS by Rinsai Rosetti. Both of these are magical, delicious books that absolutely stole my heart. 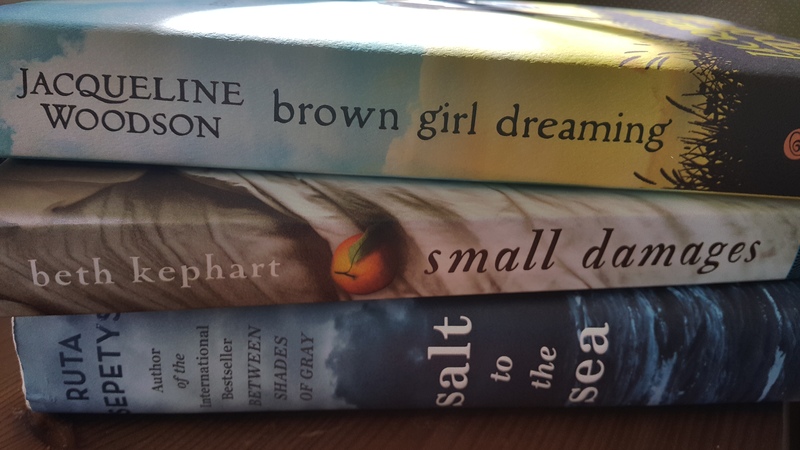 Light-hearted contemporary is not for me, but I can’t stop gushing about more serious books like SMALL DAMAGES by Beth Kephart (a contemporary set in Spain) and BLUE VOYAGE by Diana Renn (a mystery set in Turkey), which both transported me deep into their worlds. Verse novels. 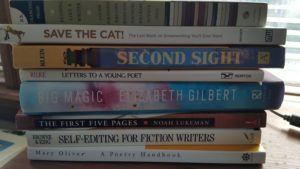 As the poetry editor at Young Adult Review Network, I love all kinds of poetry, including verse novels. Some of my favorite YA verse novels include A TIME TO DANCE by Padma Venkatraman, AUDACITY by Melanie Crowder, and BROWN GIRL DREAMING by Jacqueline Woodson. I also fell hard for THE CROSSOVER by Kwame Alexander even though a basketball novel didn’t sound at all like my thing. As you can see from these examples, I’m drawn to tragic rather than light reads, literary over commercial, and I prefer to cry rather than laugh over a good book. I like a little magic/fantasy, but I prefer those with very different settings, like Norway in Ingrid Paulson’s VALKYRIE RISING or China in Cindy Pon’s SERPENTINE. Between character, beautiful writing, and plot, beautiful writing always wins me over. I love multiple points of view, diverse characters, weird timelines, unlikable heroines, and unlikely friendships or romances. My personality is likewise pretty serious. You can expect few (if any) GIFS, jokes, and pop culture references from me, but you can also expect my undying devotion and passion in helping you make your project all it can be. So what can I do for you? I am a plotter, and can share what I’ve learned from plotting and outlining workshops to help identify plot holes and areas that could benefit from higher stakes and bigger twists. I specialize in multiple points of view and making individual voices in casts of characters unique. I also know firsthand how hard it is to achieve a balance between setting details and too much backstory, and I have had plenty of experience both revising and rewriting my own manuscripts from scratch, as well as helping critique partners identify problem areas in their stories. If we end up working together, you can expect a full edit letter on your manuscript, as well as whatever level of support you need to get through revisions over email, twitter, gchat, whatsapp, and/or DMs. I like talking on the phone about as much as I like GIFs.